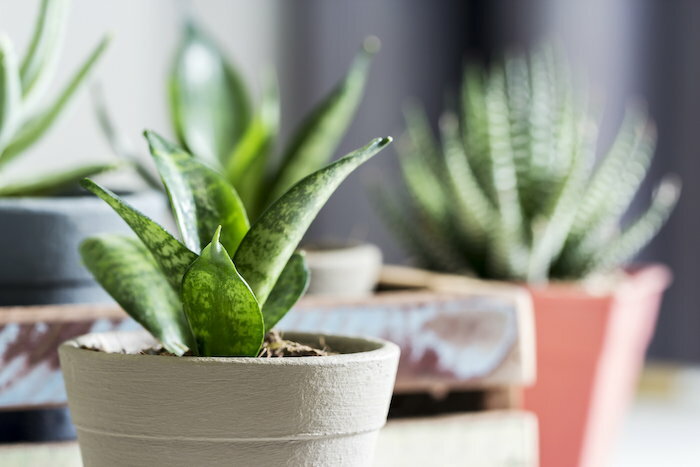 Improve your indoor air quality with these houseplants! Although the official start of winter is a little over a month away, colder temperatures are already beginning to drive many of us indoors. While we tend to think of the air outside as being full of pollutants (especially if we live near a busy highway or urban area), it turns out that the air inside our homes may be just as contaminated. Why is the air in our homes polluted? Several factors play a role. Smoking and fuel-burning appliances are just a couple potential sources. However, many of us overlook other ones like mold and mildew, household chemicals, exhaust coming in from an attached garage, and off-gassing from new furniture or a recent remodel. The air fresheners we use to make our homes smell pleasant or festive during the holidays may even be a source of indoor air pollution. What’s a person to do to filter the air in their indoor spaces? Just get a plant or two (or five)! 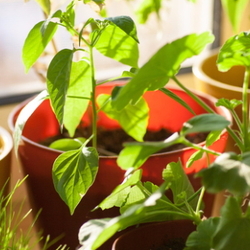 According to research conducted by NASA, potted plants are a surefire way to clean the air inside your home. As a gardener, you may have several of these plants adorning your indoor spaces already. If not, visit your local plant nursery or box store, or even look online to purchase a few. They’ll cheer up your space and help you breathe easier. 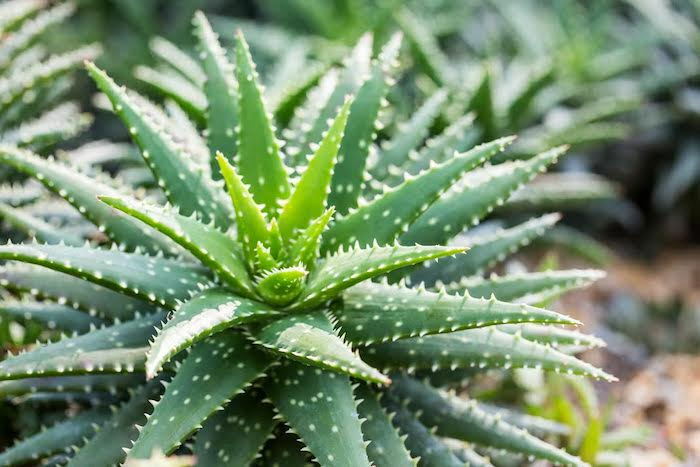 Aloe Vera may be small, but it’s been shown to remove formaldehyde from the air — not to mention the fact its gel has beneficial healing properties. Keep a plant or two in your home to clean the air, and tear off a bit when you need to sooth and moisturize sunburned or irritated skin. It’s low-maintenance and only requires periodic watering. Peace Lily is another low-maintenance plant that enjoys bright, indirect sunlight. It removes benzene, a carcinogenic chemical found in several household cleaning products, from the air. Additionally, it can also remove mold spores, alcohols, acetone, and formaldehyde from the atmosphere around it. Place one in your bathrooms and one in your kitchen to clear up these humid environments. Spider Plant has been proven to remove formaldehyde and carbon monoxide from the air. It’s relatively low-maintenance and responds well to bright, indirect sunlight and plenty of water. It's important to note that these plants tend to live a long time. They'll probably be happiest hanging near a window in your living room, office, or bedroom. Spider plants send out shoots that can be cut and planted in other pots. Snake Plant, also known as Mother-in-Law's Tongue, is a virtually indestructible plant that absorbs nitrogen oxides and formaldehyde from the air. An ideal plant even for people who think they kill everything, the snake plant thrives in low light and only requires irregular watering. 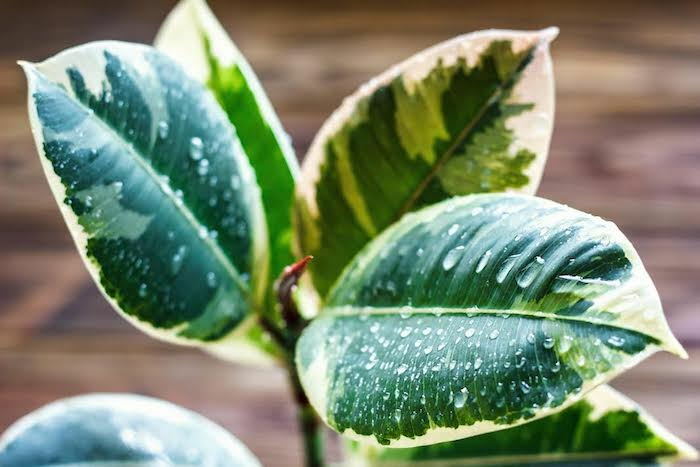 If you have trouble remembering to water your plants, rest assured that this one will only need to be watered a few times during the winter months. Golden Pothos is a low-maintenance trailing plant that removes formaldehyde and carbon dioxide from the air. Find a spot to hang it, either from the ceiling or a high-off shelf, let it trail, and enjoy its air-cleaning benefits. Ficus Trees make great floor plants because they can grow up to 10 feet tall. They not only remove toxins from the air, but they also increase the level of oxygen in it. Although they grow best in bright sunlight, they’re also relatively shade-tolerant. English Ivy has earned a reputation for being an invasive plant when grown outdoors. However, when it’s confined to a pot indoors, it removes benzene and formaldehyde from the air. It’s ideal for people who suffer from indoor allergies or asthma. Philodendrons remove formaldehyde and other toxins from the air and are generally easy to care for. However, they are considered poisonous, so you may want to avoid them if you have curious children and pets in your home. Garden mums add a bit of color to your home, and they remove benzene, trichloroethylene, formaldehyde, and ammonia from the air. Give them partial sunlight and a lot of water, and they’ll work hard to clean your air for you. 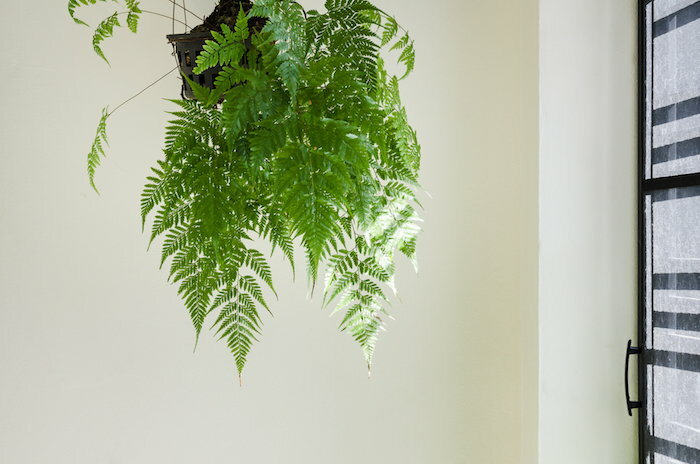 Boston Fern is considered one of the best air-purifying plants, mostly because it removes both benzene and xylene from the air. It's also a natural air humidifier. It grows best in bright sunlight, but it tends to be adaptable and is still capable of thriving in low light. 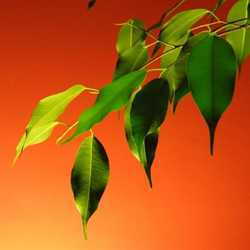 During some parts of the year, you may need to mist its leaves daily. Bamboo Palm is another natural humidifier that removes toxins from the air. These plants can get very tall (up to 12 feet), so make sure you place them in an area where they'll have enough room to grow. 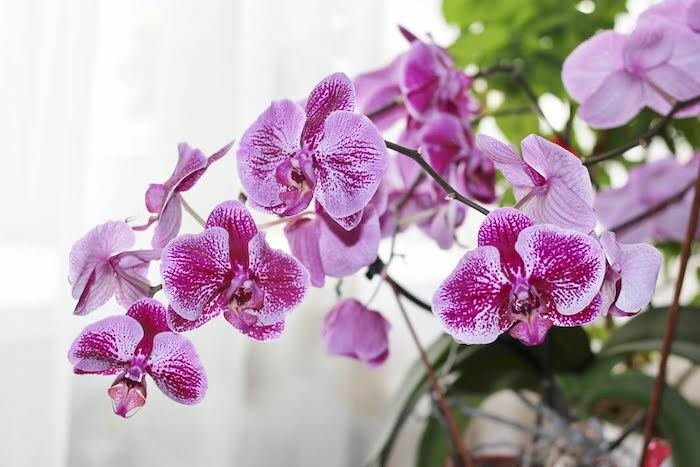 Moth orchids also add color to your home and remove volatile organic compounds (VOCs) and formaldehyde from the air. These plants require a bit more care than other houseplants — they thrive in sunlight, but not direct sunlight. And while they need plenty of water, it’s essential for them to dry out between each watering. Laura Foreman is a copywriter and gardener living in coastal Northern California. She comes from a long line of Midwestern farmers and New England gardeners, including a grandfather whose garden once made the local newspaper. She grew up working in her parents home garden, which grew an assortment of vegetables as well as flowers and two huge hydrangea bushes. She mastered container gardening after years of apartment living and now tends a much larger plot with lots of fruit trees. She continues the family garden tradition by putting her kids to work to help with weeding, planting, harvesting and, of course, eating. Additionally, she looks forward to putting her harvest to use and finding new recipes for jams and compotes as well as cider, beer, wine, shrubs, and liquors. The homestead isn’t limited to plants; she also has sheep, a goat, a horse and several chickens and recently learned to prepare, spin and dye wool for spinning and weaving. To see what she’s growing in the garden, follow her on Instagram or check out her blog, From the Garden Today or see what the sheep are up to at the blog, What the Flock.